It’s that time again where we take a look at the newly updated Nintendo Million Sellers List. The Nintendo Switch is really making leaps and bounds, selling 32.27 million units since March 2017. The console’s software as also made some extraordinary sales with the likes of Super Smash Bros Ultimate selling 12.08 million in just three weeks! Pokémon: Let’s Go, Pikachu! and Pokémon: Let’s Go, Eevee! did extremely well, selling 10 million copies between them. Mario Kart 8 deluxe has beaten Super Mario Odyssey to the top dominating with 15.02 million copies sold. Super Mario Party also did extremely well by selling 5.30 Million copies. As regards to the 3DS/2DS, it is still proving that it can sell software but the rise in sales has certainly started sloping off. There is still no change in positions with Mario Kart 7 sitting on its pedestal with 18.11 million and Pokémon X/Y with 16.37 million. 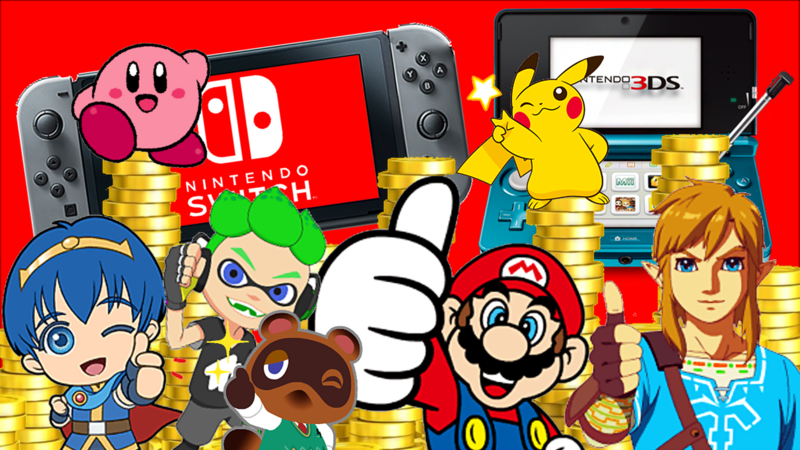 We have listed the Switch and 3DS million sellers software sales below. Each contains their current sales and those of September 2018 for a comparison of how well each title has done since.